It goes without saying that some of the most striking and resonant moments to be found among the fifty-plus hour venture (and that’s just skimming the abundance of content on offer) that is Kingdom Come: Deliverance are in the little details. Minute circumstances and seemingly insignificant elements that, when combined, help developer Warhorse Studio’s debutante flourish into one of the most striking and intriguing western RPGs of recent times. 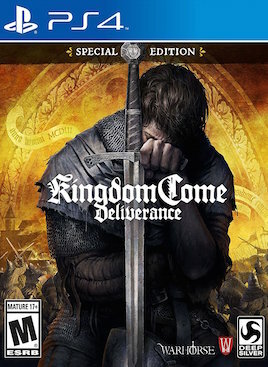 While long-standing series and fellow contributors alike in The Elder Scrolls, Dragon Age, Fallout, The Witcher and perhaps Gothic to a degree have often dictated the perception of which RPGs are regarded — that this sub-genre is more about the fantastical and/or exaggerated than it is about the down-to-Earth mechanics — Kingdom Come‘s clear intent on its backdrop without sacrificing the intricacies or enjoyment of such an open-world RPG is an understandable one. Less some retaliating against the norm, but more an alternate look on the potential this particular corner of RPG development can carve out. That an RPG of course should be one for its player to get actively involved in — working out solutions otherwise hidden or simply letting them loose in a world that demands exploring. And at its best (and most stable), Warhorse succeed — occasionally triumphing — on proving a game, embed in historical bearings it might be, devoid of magic or dragons or anything else aesthetically superfluous, can stand just as highly as those set in more imaginative premises. Yes there are of course the standards with which to meet and uphold. 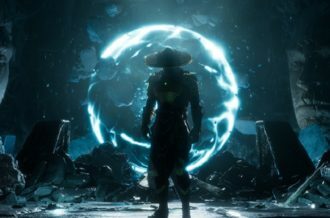 Number-crunching stats to deduce and work out via the multi-layered armor system; XP to accumulate across a wide assortment of perks and skills — which one can tailor depending on their play-style or preference, rewarding you the more you invest in, for example, honing your fighting skills or merely picking as much edible flora and fauna as possible, as opposed to just one general tab dictating all other attributes — and while the game does deviate a little into survival-esque obtrusion with its food/sleep/health statistics to keep a tab on, perhaps Kingdom Come: Deliverance‘s greatest feats are in its balancing foremost and believability thereafter. 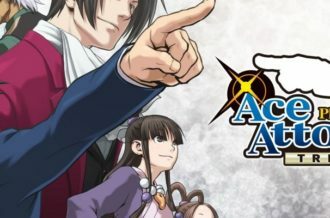 Balancing with its difficulty and need for the player to really think about which method of involvement — combat, dialog, stealth or something else more unconventional — works best. But believability more so that every microcosm and self-contained series of mechanics — be it as strategic and tactile as its one-on-one combat or purely novel with its gambling and dice mini-games of such — has a distinct reason for being. 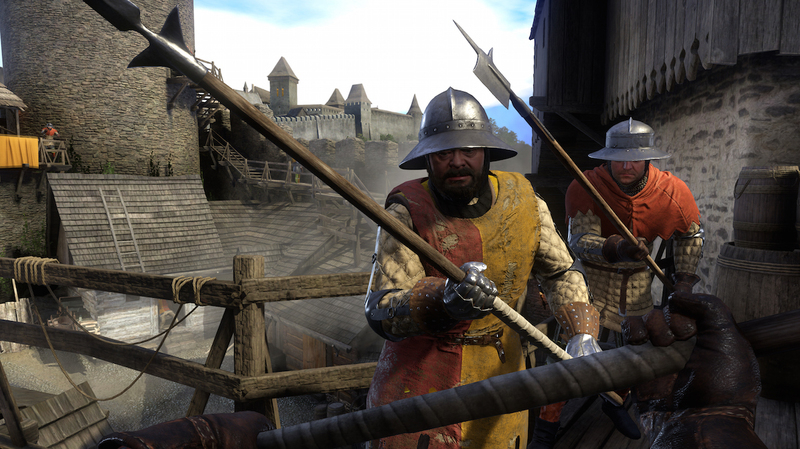 And like any good Rockstar game, the pleasures of simply traversing the in-game Kingdom of Bohemia feel at points like all the reason one needs to understand why Warhorse’s take on the genre is a unique one indeed. 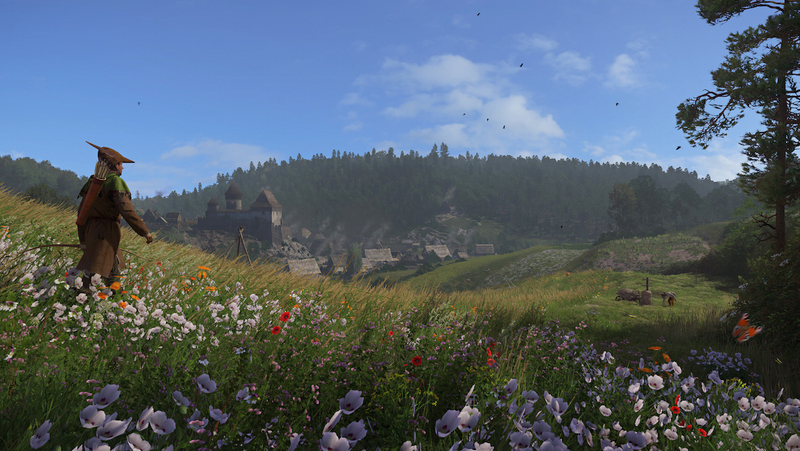 While the level of detail may seem overblown — and admittedly the periodic, tapestry-esque aesthetic does become too indulgent and invasive when it comes to navigating the main menu — it’s only when you find yourself casually strolling amid one of the woodlands or rolling countryside do you realize just how technically vast and impressive Kingdom Come: Deliverance truly is. And how easy it is to ignore the quest you’re on and simply go sight-seeing for an hour or two — be it on-foot or atop your horse as the European geography and deciduous ecosystem slowly becomes the real star of the show. What Warhorse have so painstakingly crafted here in visuals alone —- structurally and aesthetically —- is easily one of the most gripping things about the entire experience. 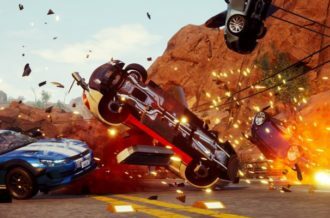 Playing this on PC, the physical nuances of the environment demand a closer inspection. But beyond its scenery and its visual design, Kingdom Come: Deliverance above perhaps even this is a game that respects a player’s intelligence, but at the same time asks for that same awareness and perhaps respect in return. Particularly with its quests, whether that’s doing without in-world objective markers beyond a vague circling of a region, having key items subtly placed rather than conveniently glowing for ease of detection, requiring investigative work to be undertaken or even making clever deductions that are never stated but always logical. While these shorter-term moments may feel needlessly grating or frustrating when the answer or solution remains out of sight, Kingdom Come: Deliverance at its best manages to find that balance of give and take. Of players putting the effort in and getting rewarded in ways that may well pull up a few surprises along the way. But in the world of Kingdom Come: Deliverance, even the most unexpected circumstances — finding one’s self suddenly surrounded by enemy soldiers at perhaps the least-welcoming time — scripted they may seem, make sense in the grander scheme of thinking before one acts. Granted its combat system — whether that’s the one-on-one duals or simply using a myriad of weapons from axes to bows to even maces — does throw up an unwelcome annoyance or off-putting visual from time to time (the emotionless, blank-faced expression of your adversary seems a little too generic given the heated circumstances) and using any manner of bow borders on flimsy and outright frustrating to control, but it’s when the game is at its slowest, its more methodical and indeed personal that the more authentic approach to the RPG standard comes to the forefront. Providing battles that are tense, a little uncertain at points, but work in the context of the time period. 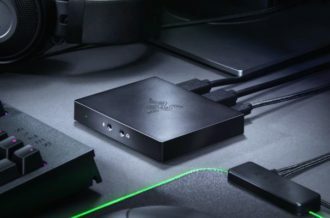 Even the story and manner at which it presents its narrative is offered (cinematic it may be) in a way that’s grand in its production, without indulging or overly-dominating the space belonging, rightly so, to the gameplay. The voice-work, while providing a few unconvincing lines of delivery with some characters offering poker-faced expressions at points, offers enough historical intrigue and entertainment to at least pass the time until cutscene’s end. While it’d be a stretch to put it at the same level as, say, a prime-time cable series, Kingdom Come’s story does its job at allowing the game to flow and present a decent-enough thematic backbone to justify its grand overworld. So it’s such a disheartening statement to have to share — given all the clear pluses and remarkable highs at points — that even after the necessary installing of its 20GB+ day one patch, Kingdom Come: Deliverance can still turn out to be a baffling, comical or just plain glitchy mess. Whether that’s down to the present use of CryEngine or not, at its worst, the game is an unwelcome clutter of buggy animations, glitches, missing textures and circumstances that would make even Assassin’s Creed: Unity blush. NPCs with missing heads, texture-deprived clothing, pop-in to parts of the ground a long while after the main bulk of the environment has finished loading, frame-rate dips from high-60s to mid-20s in a matter of seconds, load screens for something as simple as the world map taking up to twenty seconds, even something as horrid as in-game cutscenes absent of the even most basic of level geometry. 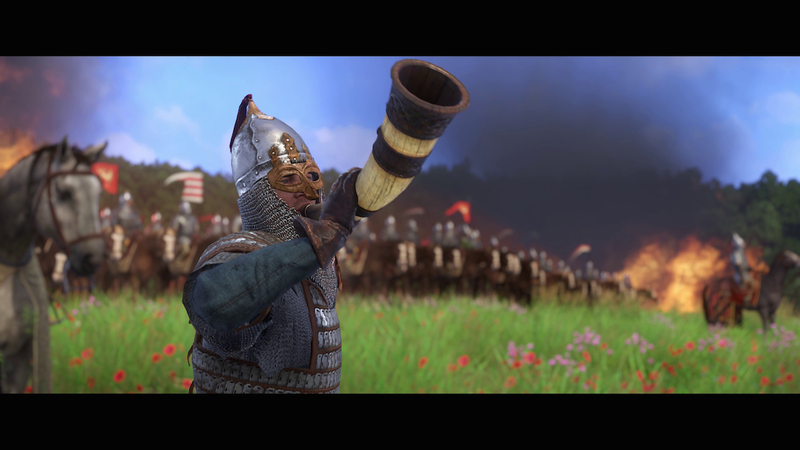 It’s such a shame to see such basic follies rear themselves, because Kingdom Come: Deliverance gets so much right in the long-term and tailors the experience so well to a vast array of play-styles that to see it ruined in such a way is a monumental shame and one that can ultimately pull you out of the game completely. Granted, Warhorse don’t quite nail the balance of difficulty and player-engagement across all of its gameplay components, either. The lock-picking mechanics especially when coming to a desired chest or door are so needlessly cumbersome with little-to-no margin of error. Likewise, some minor criticisms in certain facial animations during exchange of dialogue, while not wholly troublesome, can work against the context of the situation, and as previously noted, can leave characters and NPCs alike looking too jaded or devoid of genuine emotion. 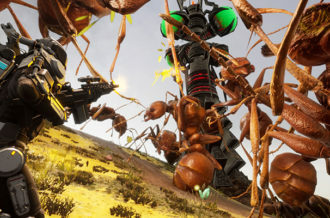 Had the initial forty-to-fifty hour campaign not have delivered the level of bugs and problems present in the current build, you’d easily be looking at potentially one of the year’s best all-round experiences in an RPG and an essential for everyone no matter your affiliation with the genre. 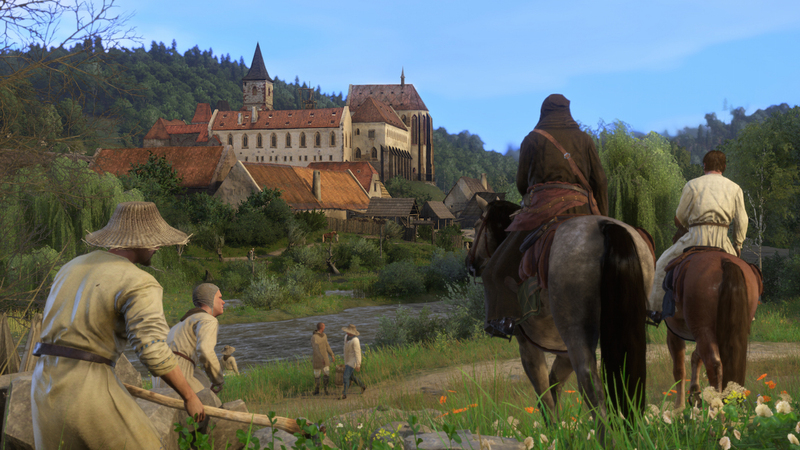 As it stands, visually, technically and mechanically sound its foundation is, Kingdom Come: Deliverance‘s performance is an unruly and occasionally unpredictable beast. Immersive and inviting it may be, it would be hard not to advise a level of caution going into this game in its current state — triumphs of its explorative aspects notwithstanding. Here’s hoping Warhorse can quickly absolve their game of these annoyances, because their debut outing more than deserves to be heralded and praised just as highly as Morrowind, Fallout: New Vegas or even The Witcher 3 as one of the best, worthwhile and more so unique RPGs to release in recent times.